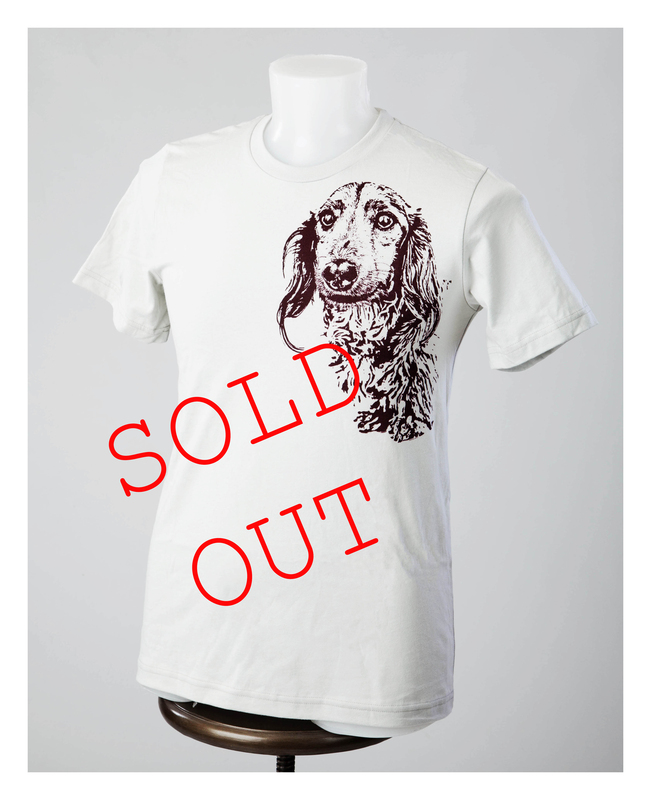 DOGS T-shirt Fall 2013 | Longhair edition. DOGS T-shirt Fall 2013 | Smooth reprint. They’re back! Yes. Back by popular demand we have created another series of limited-edition T-shirts using the talents of photographers and artists Johnny Ortez-Tibbels and Kristin Adams. Like before, the shirts are a Canvas made in the USA unisex shirt, and it is the charity’s gift to anyone making a tax-deductible donation of $40 or more (which includes shipping and Paypal fees). If you’re having a hard time deciding between the three take advantage of the following discount: 1 for $40, 2 for $60 and 3 for $80. To enjoy the multiple shirt discount all shirts must ship to the same address. 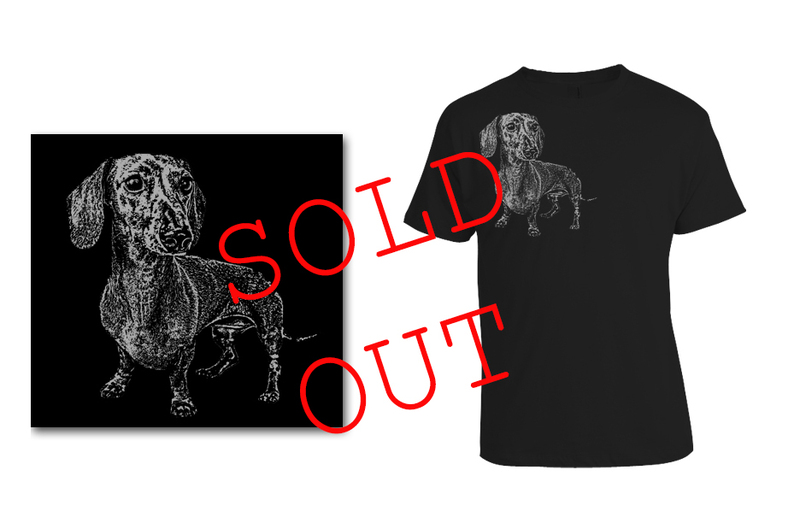 Also since we still have some books left – 102 Dachshunds, you can get an autograph copy and a T-shirt of your choice for $150 (a $25 savings). The charity only produced a limited amount of these terrific tees (and books), and they’re already going fast. When they’re gone, that’s it. You can only get these shirts here! If you’re looking for that one-of-kind T-shirt while fulfilling your philanthropic goals this holiday season, this is a great opportunity to marry the two. Remember if we’re out of your size consider getting one as a gift for a family member, friend or colleague. The smaller unisex sizes are great for children and young adults. These are the sizes and quantities the charity currently has available. They will be distributed on a first-come and first-serve basis. 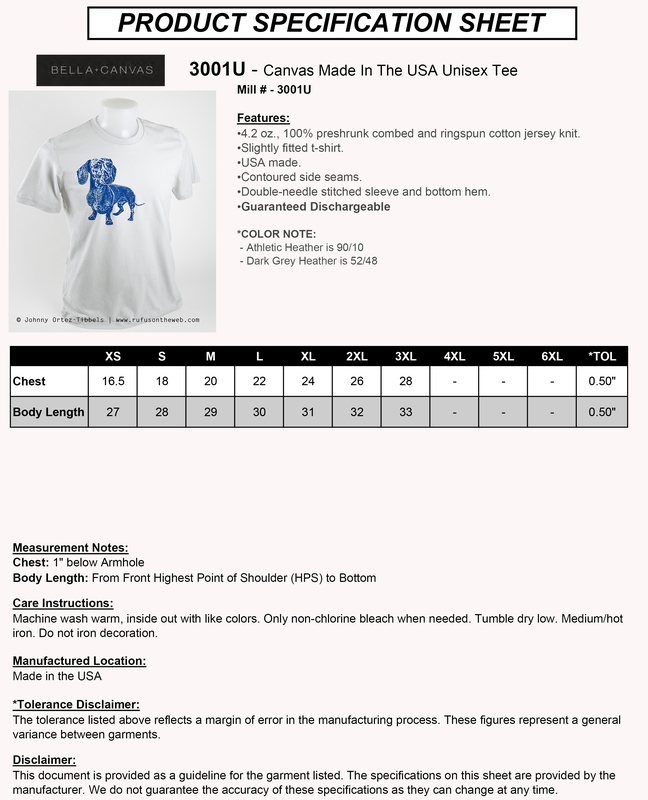 If your preferred size is out of stock you’ll be contacted about an alternate size (if one is not already indicated). 1) Frankie Leaf (Green) with black ink Smooth 2nd edition / reprint. 2) Colin Silver (NOT WHITE) with brown ink Longhair. 3) Preston Asphalt (Grey) with black ink Longhair. We have 0 black smooth tees in stock . Less than 20 were produced so this is a real collector’s item. 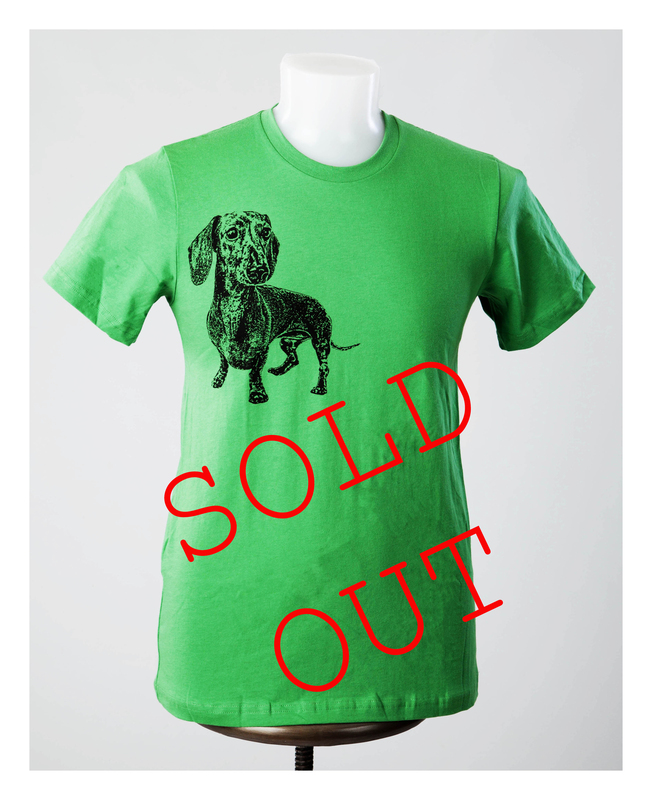 The smooth dachshund design has been our most popular to date and this is the 3rd edition / reprint (1st edition was blue, and the 2nd edition was green). We don’t do repeats or mass produce so once this color is gone, that’s it. It will not be reproduced again. Get yours while you can. Make your tax-deductible donation today by clicking here, and have your shirt(s) shipped 2-day UPS on the next business day while supplies last!! Thank you Lisa. But we ask that people please make a $40 donation (or more) for the shirts. $25 would barely cover the expense of shipping from CA to MN. If you make the additional donation of $15 (or more) before 3 pm PST today I will happily ship a Colin T-shirt in Small or Medium (whichever size you prefer – we still have both at this time). I can also refund your donation of $25 if you prefer. Please keep me posted. Thanks! Are you ever going to make more of these shirts??? The gray longhair shirt looks exactly like my dachshund and I love the idea of donating to a good cause! I will keep checking back but please let me know in email if there is a way to get one of these!